Wondering just how bad the current financial situation is? Apparently so bad that it'll take superhuman resources to fix it. And, more worryingly, the people who're saying that are the self-styled financial experts. Translation: We're all screwed. Admittedly, that's probably not the reaction that LendingTree, the online lending company, hoped that their new advertising campaign would provoke, but what else do you expect when your ads feature former Batman Adam West telling us that "a wave of financial tomfoolery has been unleashed upon us," before calling those responsible "corporate mischief-makers"? 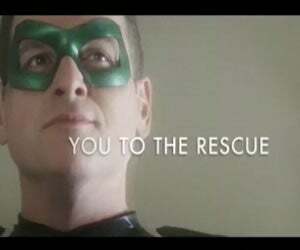 The new campaign - with tagline "You to the rescue" - hopes to tap into disquiet with financial experts by promoting the idea that LendingTree allows you to stay in charge of your money, but we're not sure that telling us to dress up as superheroes is really the way to go about it.